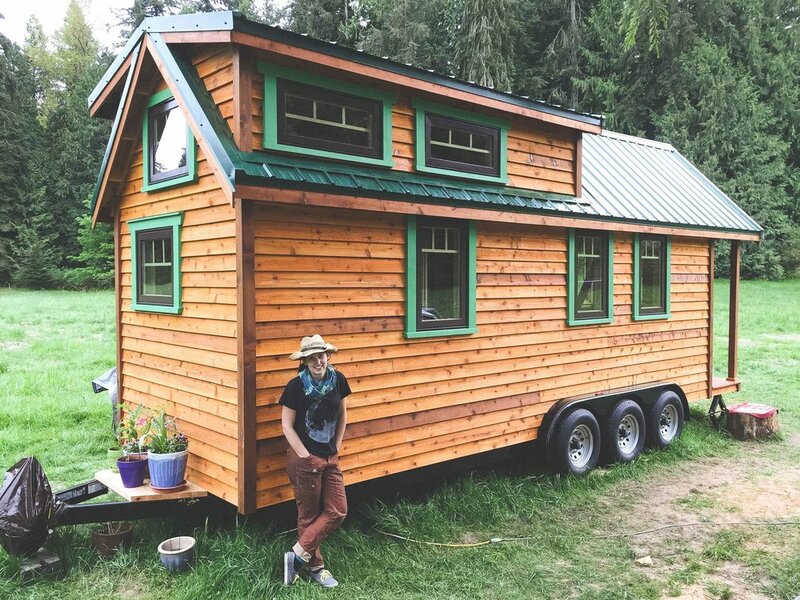 A bit about me: I'm an artist and illustrator living in a tiny house on wheels built by myself and my partner, Brandon. I'm currently working out how to be a professional scientific illustrator while trying to fit all of my art supplies in 240 square feet. I live and grew up in lovely western Washington. I got my bachelor's in Biology in 2010, and spent a couple years chasing spotted owls in the woods while I worked as a wildlife technician in Arizona, then in western Oregon. I went on to graduate from the Science Illustration Certificate Program at California State University at Monterey Bay in 2012. Since then, I've been chasing more birds (this time in my home state! ), as well as freelance illustrating for clients like California State Parks, Cabrillo Marine Aquarium, University of Washington Medical Center, and North Cascades National Park. You might see my love of owls reflected in my work! For more updates on my current illustrations or to see pictures of Tiny, follow me on Instagram @tinyhousebigwoods or check out my Facebook page, Laurel Mundy Illustration.